What is ctfmon.exe? Should I remove it? 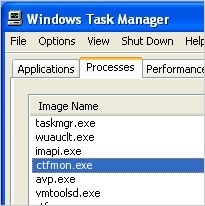 Ctfmon.exe is a process that is connected to the Office XP suite, usually runs in the background and monitors active windows. Its main functionality is to provide support for alternative data input methods, such as text-to-speech, voice recognition, handwriting, some language inputs (e.g., Korean or Chinese), and others. Ctfmon.exe will be running in the Task Manager even if MS Office programs are off, so some users might want it disabled if they are not using alternative user inputs entirely. Ctfmon.exe should be located inside the %System% folder, and if the file location is other than that – there is a high chance that the device infected with malware, such as Win32:Trojan-gen. Even though this is not an essential process, experts do not recommend users to remove Ctfmon.exe from their systems. On the other hand, it is possible to disable the process until you need it. However, only advanced users are advised to do so. Otherwise, the MS Office suite might start malfunctioning. It is wise to know that Ctfmon.exe filename can sometimes be used by malware to hide its presence on the system, so pay attention to the location of the file. If it is located not in C:\WINDOWS\System32, there is a huge possibility that this file is malicious. Note that the name of Ctfmon.exe is mostly used by parasites Satiloler, Satiloler.d, Satiloler.c, Satiloler.e and Snow, so you are highly advised to scan the system just to make sure that this executable file is not dangerous. For that, we strongly recommend using Reimage or other professional security software. Redirects to random websites, etc. It is also known that a very similar name (Ctfmon32.exe) is used by an aggressive browser hijacker called CoolWebSearch, Family Key Logger, or Raidys info stealer. The primary purpose of Ctfmon32.exe is to start a parasite or launch some of its components. Be aware that it is a significant part of a dangerous threat, or it can also work on its own. Therefore, it is essential to pay attention to unknown processes on the Task Manager. If you suspect that the executable file is malicious and causing various problems on your computer, you should not only terminate this process but run a full system scan with Malwarebytes MalwarebytesCombo Cleaner. If the antivirus marks the file as dangerous, do not hesitate and let it perform Ctfmon.exe removal right away. Usually, cyber threats are distributed via peer-to-peer networks or sent in the attachment of an email directly to the victim. Likewise, those who are not closely monitoring their online behavior might unknowingly install malware – and it will disguise as a legitimate Windows process. Therefore, NoVirus.uk team strongly advises avoiding downloading video, audio, and other content from torrent and other high-risk sites. Criminals often share malware as fake software or its cracks online and trick people into downloading the payload of the malware. Instead, always get programs only from official websites and make sure that its developer is authorized. Additionally, pay attention when opening spam emails. 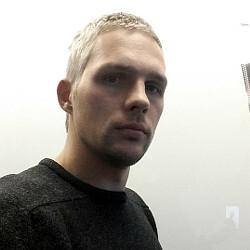 This is a viral technique used by hackers to distribute not only trojans but ransomware and other types of infections. Note that the email might look like sent by a well-known company. However, do not open it or click on its attachment unless you are sure that the email is legitimate. Since Ctfmon.exe file helps users control their computers via pen tablet, speech, or on-screen keyboard for Asian languages, those who do not need these features can disable the process. However, only people who are experienced enough are advised to do so. However, as it has been already mentioned, the name of this process might be exploited by malware to hide its presence on the system. In this case, users are advised to remove Ctfmon.exe immediately. Even though we would suggest you to do that by employing a professional security software like Reimage, you can also do it manually. Find ctfmon and de-select its checkmark. ^ Tim Fisher. Task Manager. A Complete Walkthrough. Lifewire. Tech How-To Guides & Tutorials. Definire ctfmon.exe file. Ne ho bisogno? This entry was posted on 2019-02-21 at 05:34 and is filed under Files, System files. You can quickly scan the QR code with your mobile device and have ctfmon.exe manual removal instructions right in your pocket.